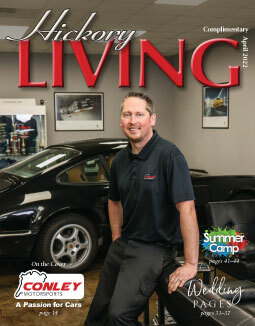 Hickory Living Magazine - Living the Good Life! Click On The Cover Photo Above To Read Hickory Living Online! Welcome! We hope you enjoy your visit. You will find locations to pick up your next copy of Hickory Living Magazine and view current and past cover stories on our website. Visit our Shopping page for Hickory shopping locations. We appreciate your support of our advertisers. They make it possible for us to distribute Hickory Living to more than 500 locations monthly for free.